hd00:16Amazing New York City Manhattan skyline panorama view over Hudson River. Sightseeng tour in NYC. 4k00:15NEW YORK - MAY 17: A Cornucopia Cruise Line ship sails south on the Hudson River past the mid-town Manhattan skyline just after sunset on May 17, 2014 in New York. 4k00:20View of Manhattan skyline from Brooklyn waterfront. Zoom-Pan. From day to night. Skyscrapers lights turning on while the night is coming. Time lapse. 4k00:15NEW YORK CITY - FEB 2, 2018: Brooklyn Bridge aerial toward Freedom Tower skyline over East River in 4K NYC. East River is the body of water that separates BK from Manhattan. 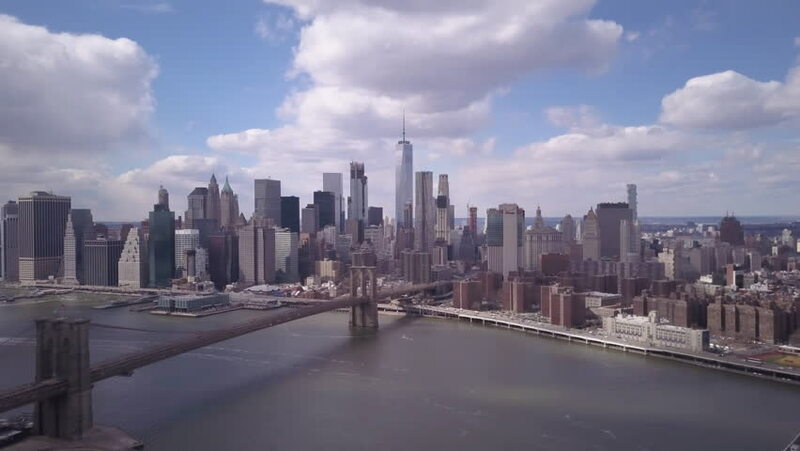 4k00:17NEW YORK CITY - FEB 2, 2018: Brooklyn Bridge aerial beautiful day, American flag Freedom Tower Manhattan skyline in NYC. The famous suspension bridge is one of the oldest roadway bridges in the US.